Available in Spanish or English! Teach new mothers How to Hand Express Colostrum and How to Spoon feed the Baby with this eye-catching Spoon Card. The clear, illustrated instructions on the card will inspire confidence as mothers learn to breastfeed during the immediate newborn period. 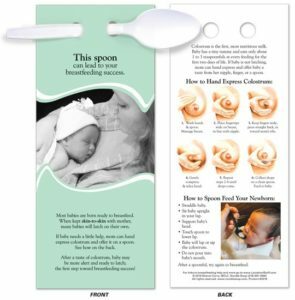 The attached spoon is useful and helps mothers manage expectations as to how much colostrum they will be able to express and the small amount baby will require. Mom can use this tool independently or with a little help at the bedside as she gets comfortable breastfeeding. 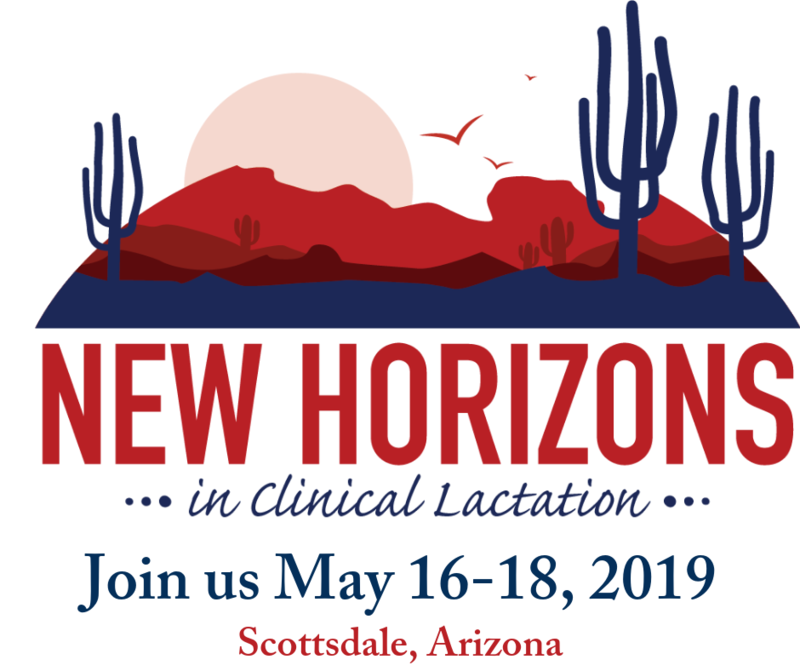 The companion website www.LactationStuff.com features a lot of information for health care providers regarding how to teach hand expressing and spoon feeding. The Spoon Card is also an ideal hand out for health fairs or prenatal classes. It is a great conversation starter and visual aid. The Spoon Card can be ordered through www.LactationStuff.com. It comes with spoons inserted in packs of 25 for $8.00, or in packs of 50 for $11.00–you provide the spoons. When you go to my LactationStuff.com website and click on the Spoon Card, you will be re-directed to NoodleSoup.com who prints, sells & distributes the cards for me. USLCA does not endorse the use or sale of this product. Post expires February 28, 2020.